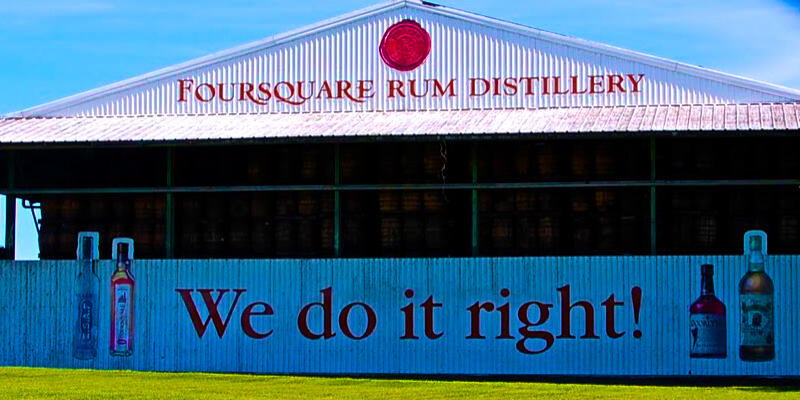 Foursquare Rum Distillery is located on a former sugar plantation that dates back to 1636 within the tiny Caribbean island of Barbados. Founded by the Seale family, distilling operations and blending are currently directed by Richard Seale, 4th Generation Trader/Distiller. Foursquare Probitas is a blend of white rums from the Traditional Coffey Column of Foursquare in Barbados and the Double Retort Pot Still of Hampden in Jamaica. Unsullied by sophistic dosage. Only impeccably distilled and blended Rum for all aspiring cocktail craftsmen. Foursquare Premise has been aged for 3 years in ex-bourbon casks before being transferred to ex-sherry casks where it was matured for a further 7 years. 10 years in total. It was bottled in January 2018. It is a blend of Pot and Column distilled rums.